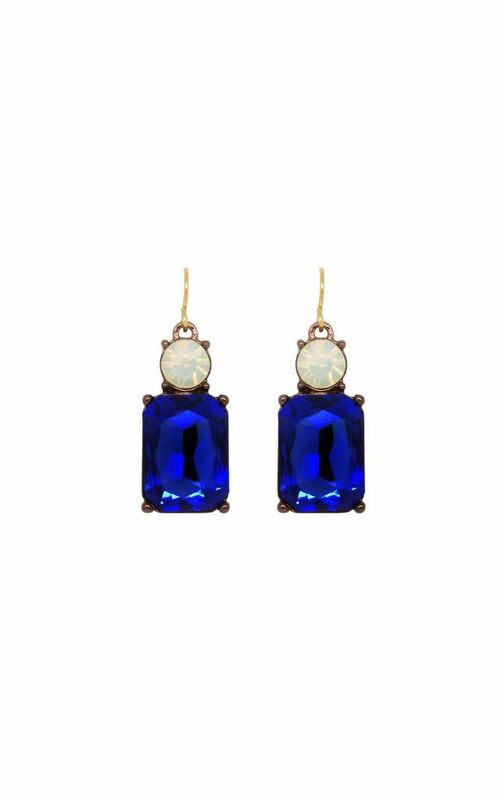 Deepest royal blue and opal white faceted glass gem earrings. Antique gold plated hardware, with fishhook. The height is 4cm, the width is 1.2cm. Zinc alloy metal which is hypoallergenic (lead, nickel and cadmium free). A hugely popular simple gem earring, here is an elegant way to add depth of colour to your look. Complete with branded tissue paper and LAST TRUE ANGEL ribbon gift box.